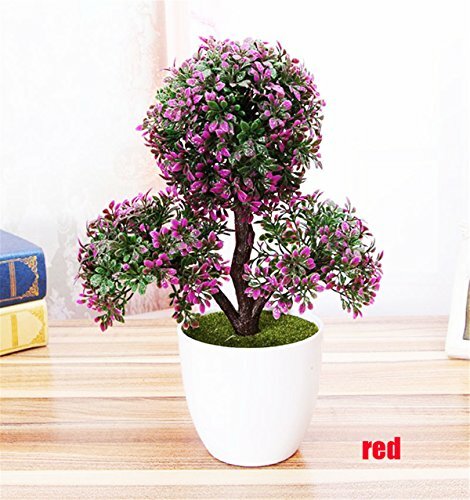 Lifelike artificial plant that remains looking fresh year after year. Handmade bonsai tree suitable for very busy person that who haven't time to carry about nature bonsai. It's small size makes it versatile so you can put it pretty much anywhere -- console, desk, bookshelf, kitchens, window ledge,foyer, end table,or anywhere to add a bit of greenery without taking up a lot of space. It looks real enough and adds a touch of nature to your space. can easily brighten your kitchen window, office table or any little space of your home. If you have any questions about this product by LKXHarleya, contact us by completing and submitting the form below. If you are looking for a specif part number, please include it with your message.